Confession of a Stubborn Bimbo: i got an award!! scroll down a little and look to your right. look at a post from girlmansion. and it brought me to her super cool girly blog. of course, there are stuff u have to do after u win an award. go to opening ceremonies and social functions right..
2. pass this award to 15 bloggers you've recently discovered and think are fantastic. 3. 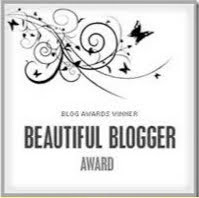 Contact the bloggers and let them know they've won the award. "THE HUNT OF 15 FANTASTIC BLOGGERS"
can i give it to guys? i have assignments to finish..
1. i'm never bored of talking about myself. hope ya'll are happy to get an award from a nobody. it simply means i love your blog.